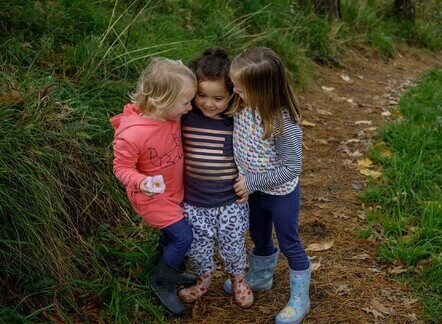 At Gumboots & Grasshoppers Childcare and Early Learning Centre we encourage children to grow through connections. Connections with other people, connections with the environment and cognitive connections. We have a beautiful, purpose built 550sqm childcare and early learning centre on a large 5000 sqm section at 708 Te Kowhai Road in the Waikato. 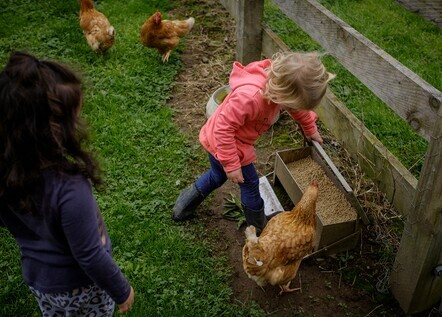 We offer a picturesque rural setting with a huge fenced playground area of 1700sqm (which is three times the minimum requirements), giving children plenty of room to run, play and create. Children will be able to grow fruit and vegetables and learn about animals, sustainability and the environment. The food grown on site will also be used by our on site chef to create nutritious and homely meals from our commercial kitchen. Meals provided include; morning tea, lunch, afternoon tea, and late snack. We have spaces available for children aged 12 weeks to school age with three rooms for infants, toddlers and pre-schoolers. Each room has beautiful, hand-picked, child focused, high quality resources as well as being fitted with heat pumps and air conditioning units. Our learning programme is based on the New Zealand National Early Childhood Curriculum, Te Whariki. We have a community focus and can see the benefits of participating in community events, engaging with the residents at Perrin Park and developing a strong transition to school programme.